We have worked with people with a learning disability and people who support them to develop easy information about politics, how politics affects people, and how to get involved and have a say in how the country is run. Read more about Every Vote Counts! 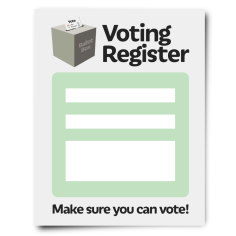 To be able to vote, you have to be over 18 and on the electoral register. 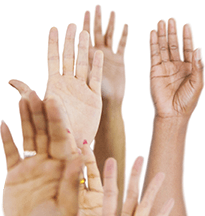 An election is the time when you will be asked to vote for the person that you would like to become a politician. Voting is our opportunity to decide who will be the best people to make decisions for us at a local, national or European level.